Prepare shortcrust pastry from wheat flour, butter, yolks, sugar and vanilla sugar. 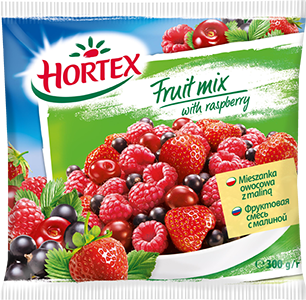 Frozen fruits stir with potato flour and vanilla sugar. Half of the pastry spread on the baking dish, make a rant and bake for 15 minutes in an up to 180°C preheated oven. On the baked cake bottom place the fruits and drizzle the rest of the pastry over. Put it again in the oven for ca. 30 minutes. After removing the pie from the oven sprinkle it with almond flakes. 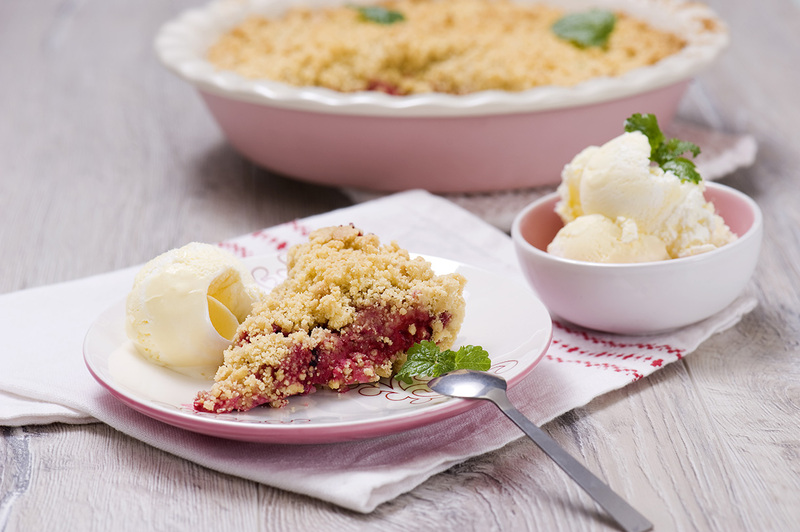 Serve the ready garden pie with vanilla ice cream.